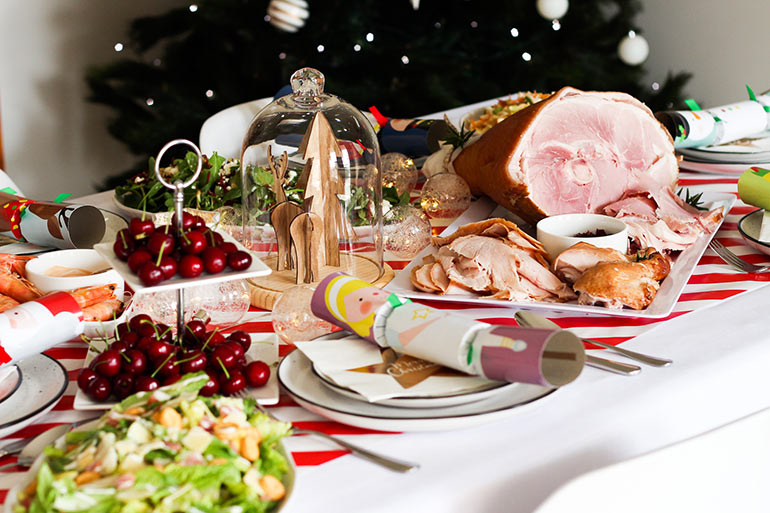 Imagine a Christmas Day where you can just breeze into the kitchen, plate up lunch and not cook ONE SINGLE THING? Pour yourself a Christmas champers ladies, here’s a festive feast with ALL the flavour and barely any fuss. Technically speaking, you can zip into the supermarket right before the big man in red visits and pick up what you need because you don’t need any time to prep anything. No brining, marinating, basting or peeling – none, nada, zilch. Introducing our NO COOK, GRAB AND GO Christmas lunch. A no cook Christmas lunch you can put together with EASE, no matter where you are – at home, a holiday house, even camping or under a tree at the park. One is (of course) to deliver a beautiful, relaxed Christmas lunch. The other is to do it with as little time in the kitchen as possible and at a good price. I LOVE that Woolworths makes it affordable and SO convenient to shop for fresh food when in a hurry! It’s SO easy to pick up all you need for a nutritious feed (even a Christmas dinner!) quickly. With that said, I head straight there, securing my trolley, list at the ready. Let’s do this. 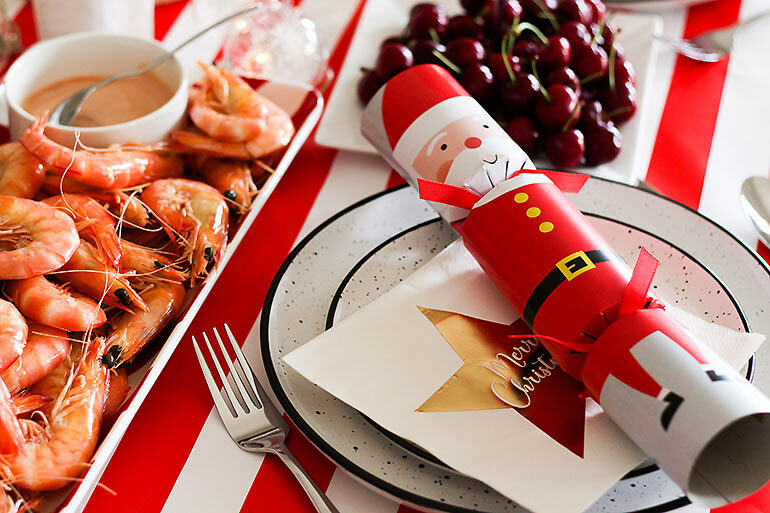 Of course, if you DO want a LITTLE bit of fuss, adding all the Christmas stuff to your table (or picnic rug or deck chair) is super easy at Woolworths. You’ll find more than what Santa’s sleigh can handle when it comes to bon-bons, disposable tableware, napkins and everything else in between – and all at amazing prices. Variety is the spice of life and all that biz, so of course you need a few meaty options on the table for your no cook Christmas lunch. For me, turkey is the absolute essential Christmas meat – a must-have with lashings of cranberry sauce to seal the deal. 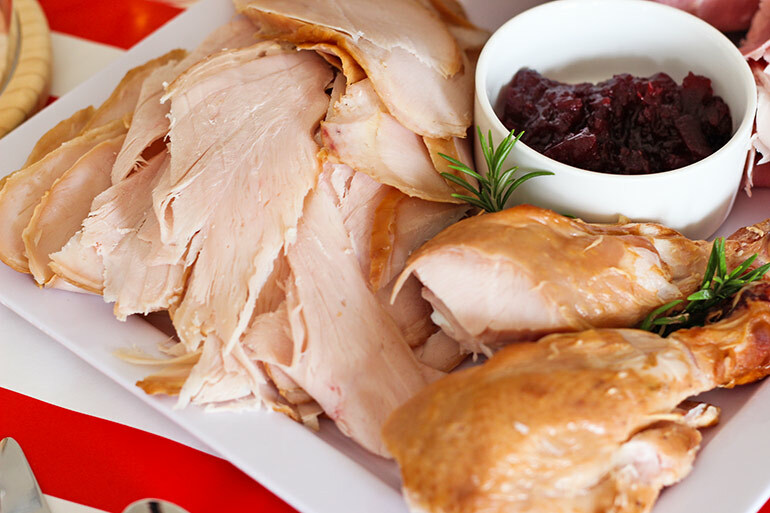 Choose a pre-cooked turkey from the fridge and you can dish it up cold, or warm it through. I’m a breast fiend so went straight for the Woolworths Oven Roasted Turkey Breast On The Bone. Bonus, you get a couple of fine looking legs attached. Expertly cooked for you, it’s perfect on the day and the leftovers make for amazing cold turkey and cranberry sauce rolls on Boxing Day. It’s a given, just saying. Similarly, a leg of ham screams festivities. 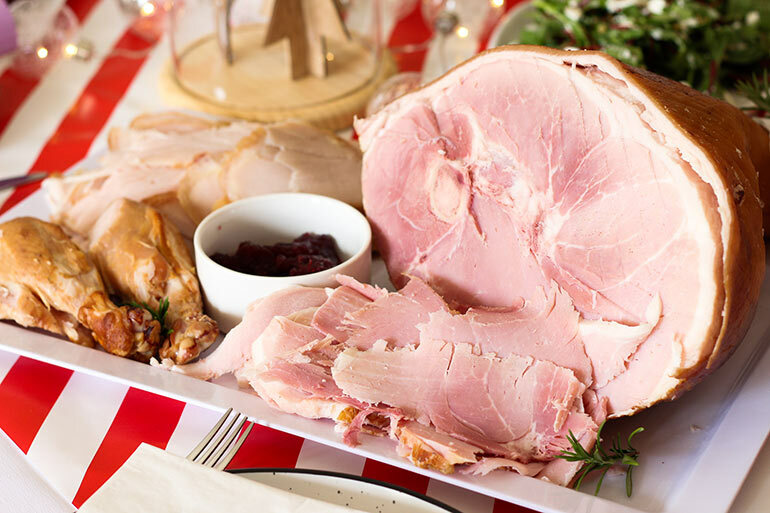 I think we can agree there’s something special about leg ham at Christmas. It fills our hearts (and bellies) with gastronomic joy. Not everyone needs a giant ham, but Woolworths has ALL the Christmas ham sizes available, from neat packs suitable for just a few people to monstrous legs. If it’s seafood you want, it’s seafood you’ll get. 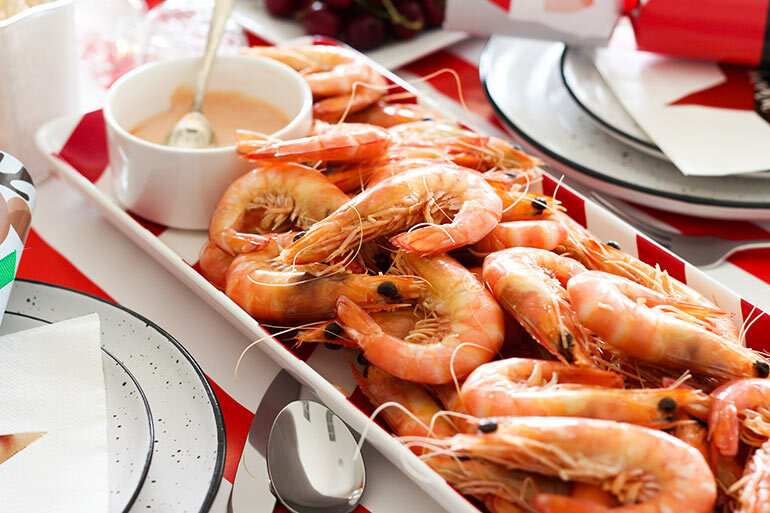 Choose something you all love – for my family, that’s fresh King Prawns. These jewels of the sea can be bought pre cooked and frozen for your no cook Christmas lunch so it’s just a case of thaw and serve. SO delicious and SO easy. 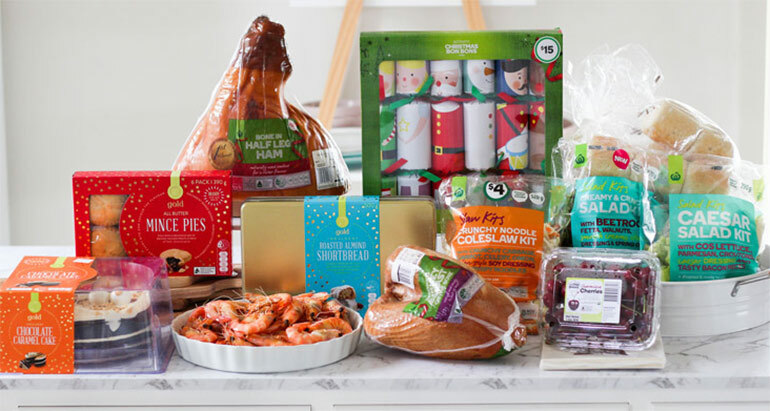 For Christmas sides which practically make themselves, Woolies Salad Bags and Salad Kits are just the ticket. From leafy greens to spicy couscous, with more than 20 (yes, really 20!) salads on offer, it’s so easy to serve up tasty side dishes. Save on both time and money with prepared salads. You’re not buying 15 different ingredients and there’s next to no food waste. Plus the hard work of slicing, dicing and all that business is done for you. Just open, tip into a bowl, add the included dressing and serve – job done! Yum. 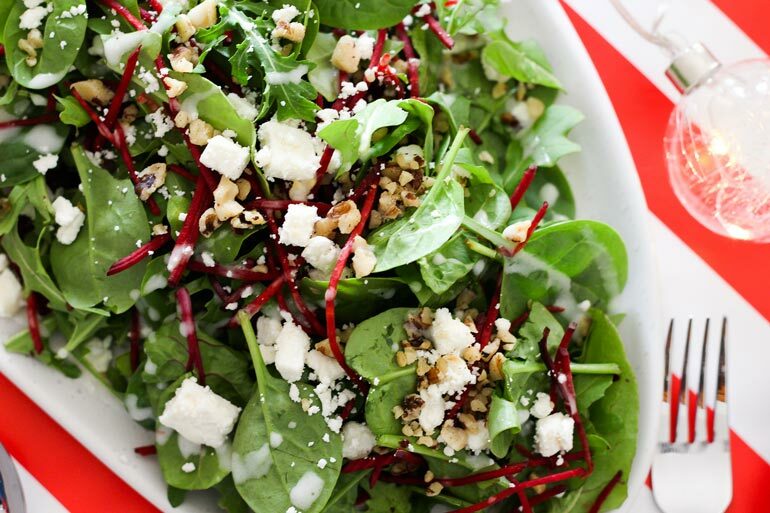 Woolworths crunchy salad is an easy Xmas lunch winner. 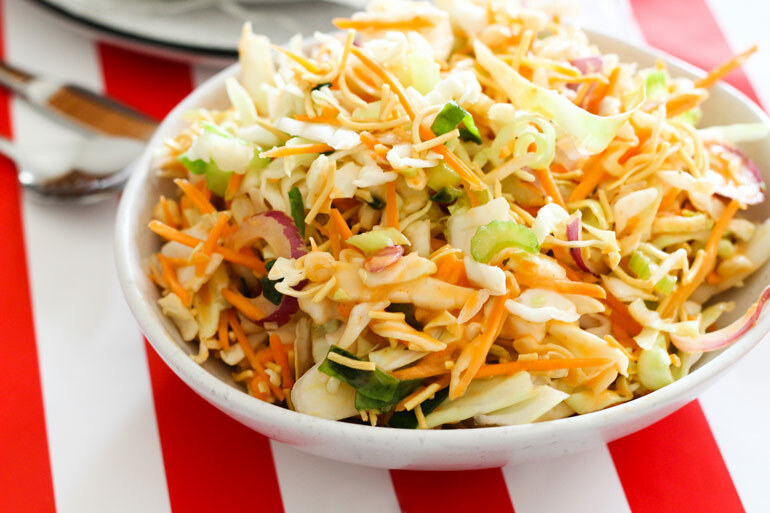 We love a hearty salad packed with flavour and with plenty of crunch so chose Woolworths Caesar Salad, Woolworths Creamy & Crunchy Salad and Woolworths Crunchy Noodle Coleslaw. Convenient and from a packet they might be, but don’t be fooled. 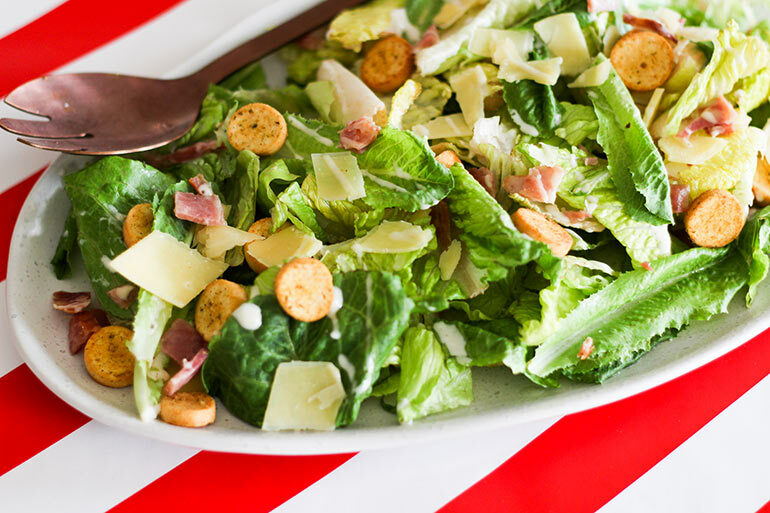 They’re PACKED with flavour, dressings, creamy cheese – the lot! Tasty and simple. Woolworths crunchy noodle salad. Anything that requires heating is considered cooking when you’re opting for a lazy Christmas. So I’ve abandoned traditional puddings in favour of this rather magnificent, very fancy pants Woolworths Gold Indulgent Chocolate Caramel Cake. And boy, is it a delectable, mouth watering treat. I mean, LOOK AT IT. 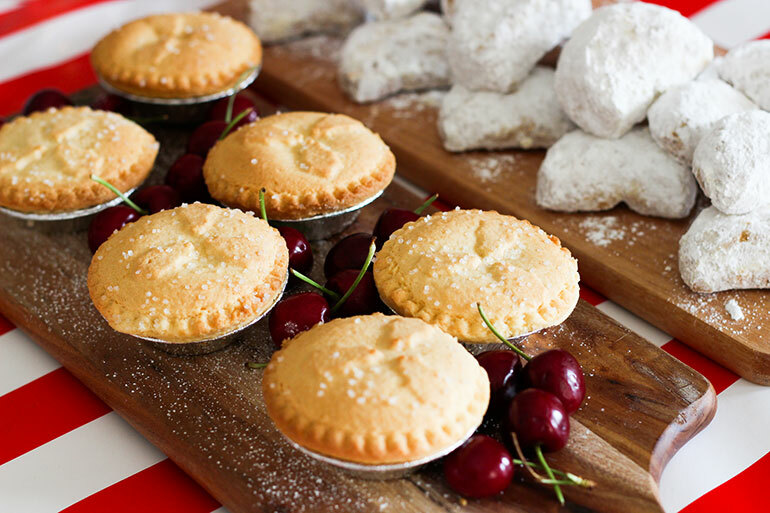 I may have ditched the pudding, but I DID make sure we had fruit mince pies for nibbling (and the buttery pastry to fruit ratio on these is nothing short of perfection). For true out-of-this world spoiling, buy Woolworths Gold All Butter Brandy Infused Fruit Mince Pies. I mean, Oh Holy Night these pies are the holy grail of shortbread goodness. Just saying. Of course, when the coffee is served, the luxe Gold Roasted Almond Shortbread biscuits must come out. They make the perfect finish to your Woolworths no cook Christmas lunch. With any luck the kids will do the dishes and I’ll sashay through Christmas Day barely lifting a finger! 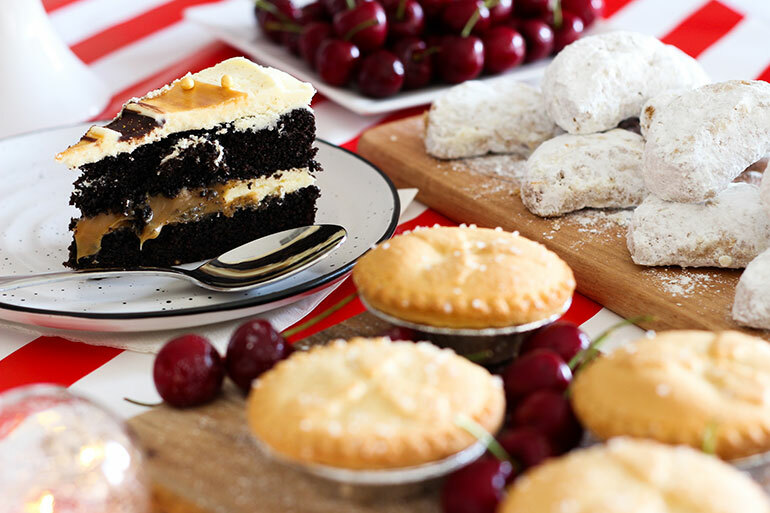 You can make the easiest of no-fuss lunches feel extra special for Christmas with Woolworths. Head to the Fresh Food People for your grab and go, no cook Christmas lunch – it’s all there waiting! 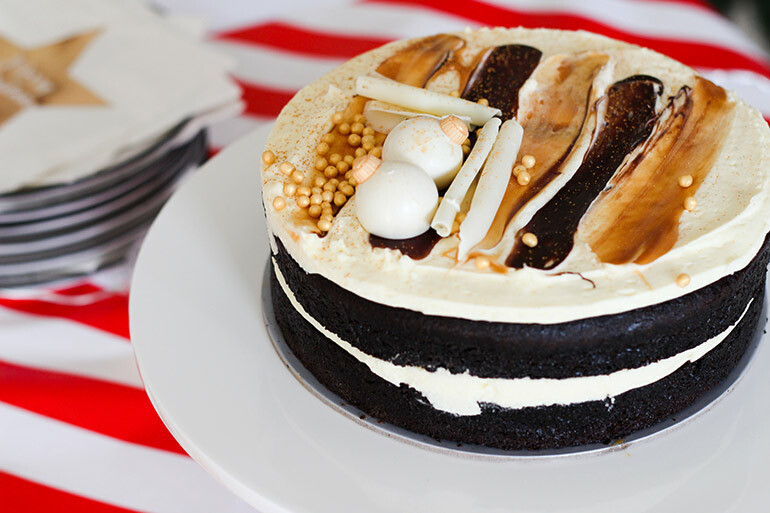 And for another easy-peasy Christmas feasting option, take a look at how to dress a pav five ways in less than 15 minutes!